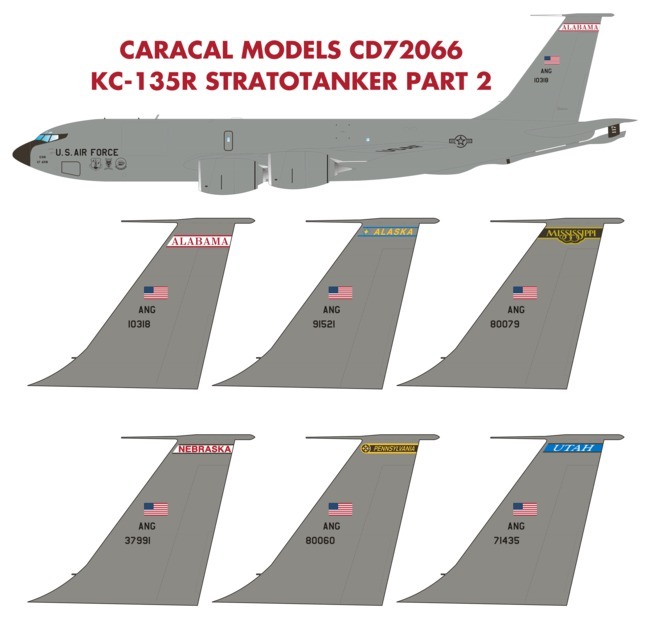 The second sheet in our 1/72 series of KC-135R decal sheets, CD72066 features markings for six Air National Guard units that operate the KC-135R Stratotanker. Only 300 sets of this limited edition sheet were printed. Extensive stencilling for one aircraft (including extended boom markings for in-flight dioramas) is included. The main markings sheet was professionally screen printed by Microscale in the USA, and the stencilling set by Cartograf in Italy. We will start shipping this decal sheet on October 5, 2017. You can preorder this decal sheet securely with your credit card or PayPal account now.